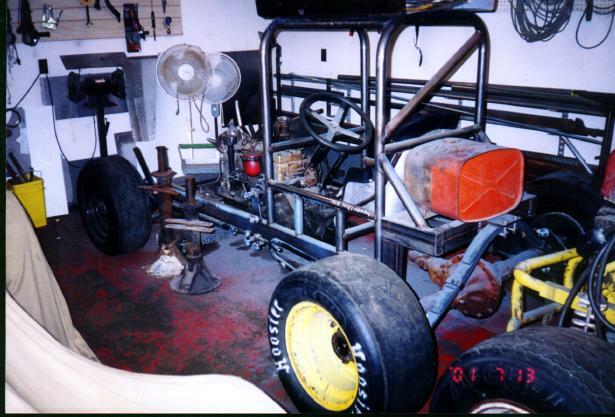 Terry Woodin of Battle Creek, Michigan, is building this replica of an early Gordenski supermodified. 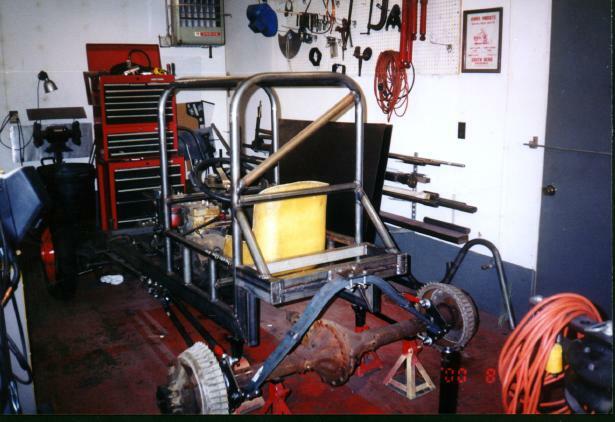 Terry's replica of a 1958 Gordenski car. Desoto 6 cylinder is going to be replaced with a Chevy "283" and floater rear end with an early Halibrand quick change.